CRME´s original team at the Tecnológico de Monterrey in 2010. 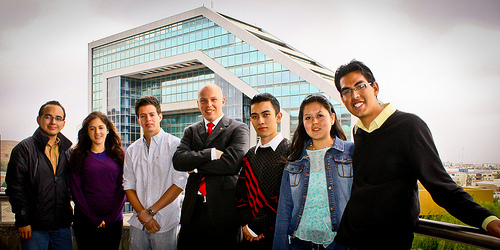 Where we come from: CRME was founded as the Center for Sustainability and Responsibility (CRSE) at the Mexican University Tecnológico de Monterrey in 2010. In 2011, CRME became an independent organization, primarily working in support of the United Nations Principles for Responsible Management Education and moved to Europe. How we work: CRME today is a web-enabled center with a small permanent team physically located in Manchester, and a global network of collaborating educators, acedemics and practitioners. CRME´s operations are based on both physical on-site interaction and online communication. A main competence of CRME outside the domain of responsible management is the pedagogical design of web-based learning activities. For more information, have a look at the most recent CRME news or get to know the people at CRME.